Just show up - I need to show up for every workout. I'm an early morning runner so I need to show up to every assignment I give myself. Once I week my goal is to show up on time to run hills with my friends. The rest of the week, my goal is to show up for my runs and to cross train. I have been focusing on strength training so I need to show up because once I do that, I can accomplish my ultimate goal at Houston. Obey the rules - I'm a rule follower so I unintentionally look for them. On Saturdays, I must cross with the light for safety purposes. I must be aware of my surroundings so I can be considerate of other runners. I also follow the rest rule of marathon training. If I don't get enough rest, all my training might as well go out the window. I'm committed to sleep the correct amount of hours starting with going to bed at the correct time. I'm also ready to drink water all day every day so I will be hydrated. My body responds better when I treat it better. Obeying rules is not that bad if the end goal is to perform well and feel great come marathon day. 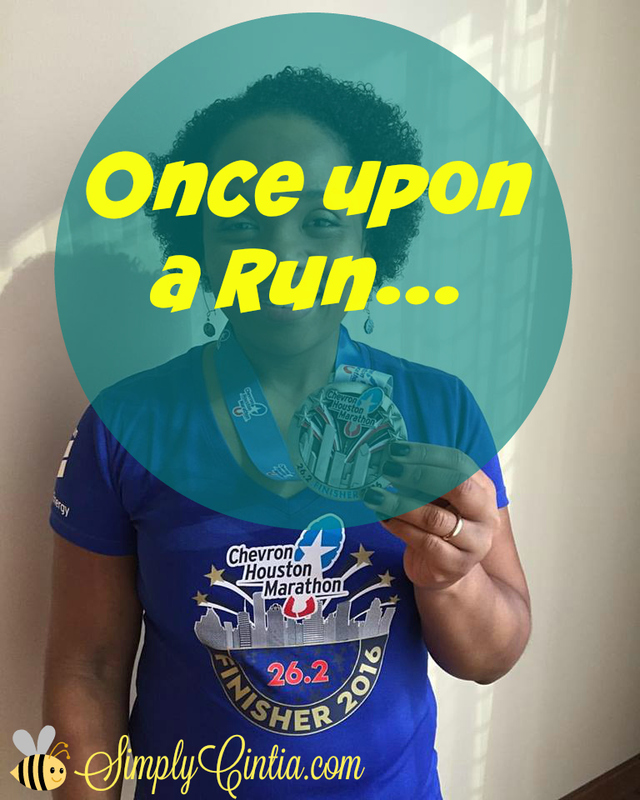 Reward yourself - I think that a big accomplishment such as running the Chevron Houston Marathon, deserves a big reward. While I feel that running is a reward in itself, I am still thinking about how I'm going to reward myself for all the work I am putting into training this season. I'm thinking of going to the craft store and getting a memory box for all my Houston Medals and finisher shirts. I thought about making the shirts into a quilt but my kids will think it's theirs (haha!). Another reward is running gear. Getting new gear will actually help me keep running. Oh, another reward I can give myself between now and then is one hour of sports massage. It hurts but I feel like a brand new runner the next day. Sunday is the start of the Warm up series and I am so thankful that I will be running the Houston Half. My goal is to finish at 2:30 so pray for me! This week I have been training, foam rolling, and believing that a 2:30 is going to happen. A fun fact (well, more like interesting) is that this same race was canceled last year because of weather. The race directors did an amazing job handling the whole thing and we are happily back to run the race! The forecast looks dreamy! I am riding with a few friends from my running club so it should be even happier! Have an amazing week! I will tell you all about the race next time. Thanks for reading!